Bertil Thomas is an Associate Professor and his main teaching subjects are control engineering, modeling, simulation and neural networks. In addition he teaches a course in complementary engineering skills (leadership, presentation skills and personal development). 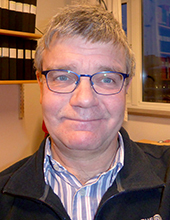 Bertil's main research interests are in feedback control systems and artificial neural networks. There might be more projects where Bertil Thomas participates, but you have to be logged in as a Chalmers employee to see them.